I'm so happy that people like my new book. 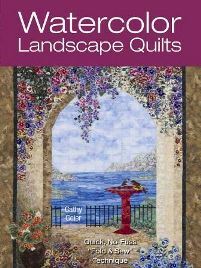 I've had a lot of people tell me about it on facebook and it is still the #1 New Release (quilt book) on Amazon! 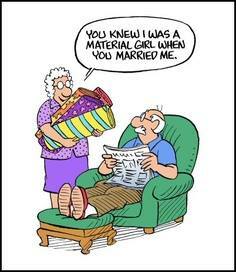 There are quite a few simple projects in it, and as the saying goes "You have to learn to walk before you can run". 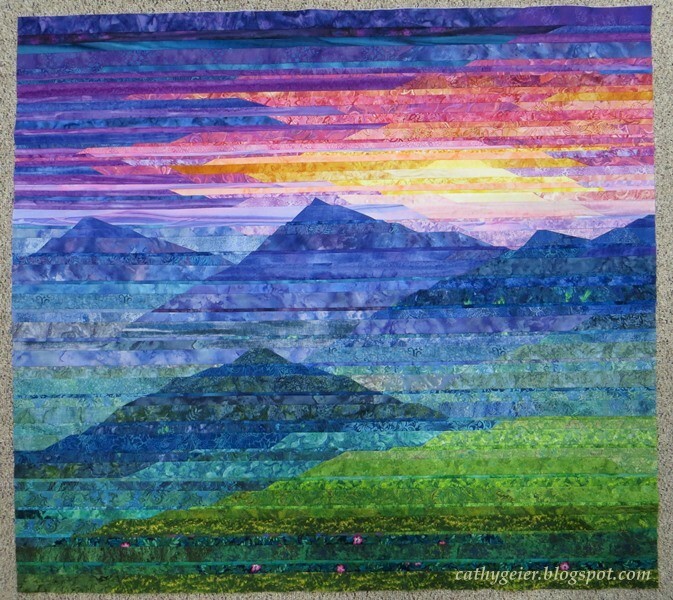 My latest quilt is one for runners. This week's blog will continue to show some of the steps and a bit of the process. 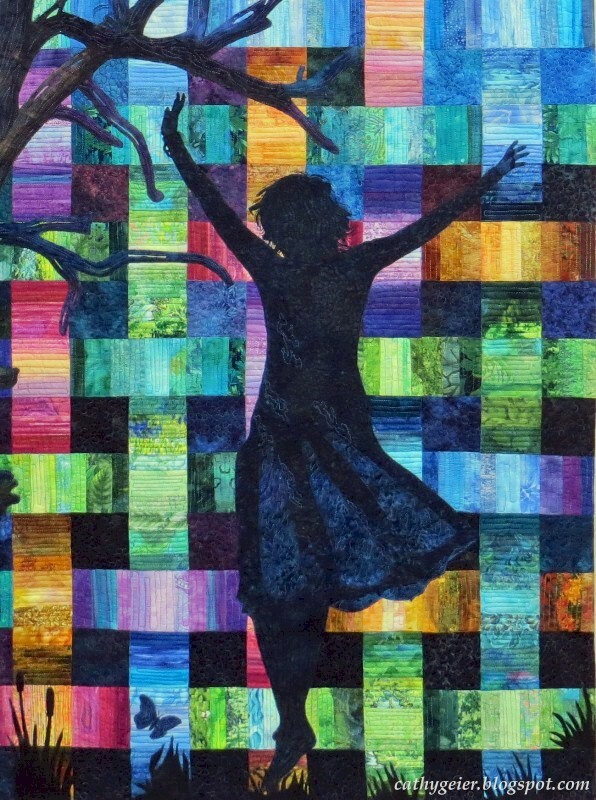 My quilt is pieced and ready for applique. I got another great book review! 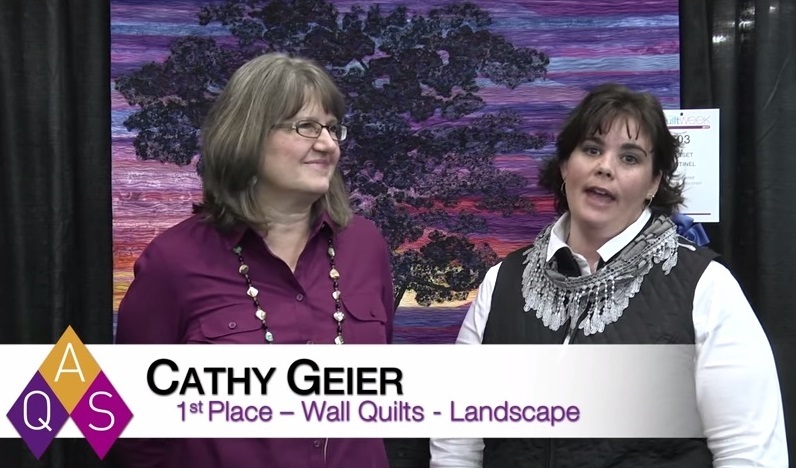 Quilting Daily gave it a rave review (see below) and it hit the #2 spot for quilt books on amazon. Plus it has held the #1 New Release spot on Amazon for nearly a week now! 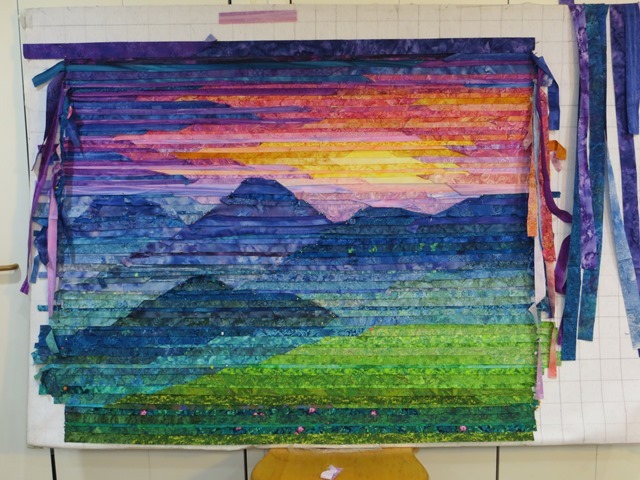 That is awesome for an art quilting book! I had to take some screen shots. I've had such a good week I'm like Joy Joy Joy! 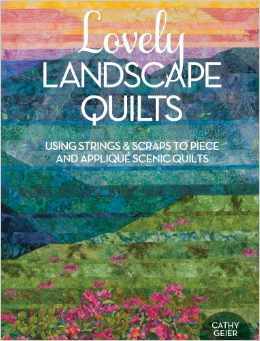 First - my book Lovely Landscape Quilts gets excellent reviews from Quilting Arts Magazine! Well, this is sort of last week's big news. 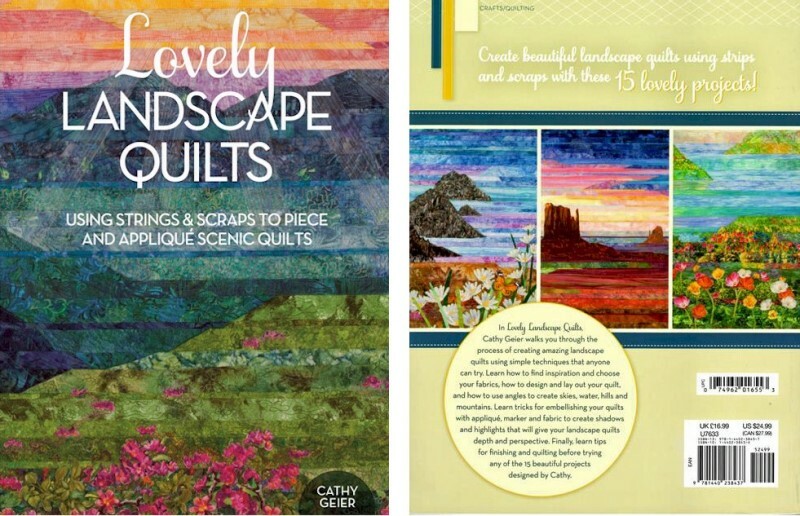 Lovely Landscape Quilts - a Book Review! Since this is my book I thought I'd share it with you and then I thought I'd show you more of what is in it.